Maintaining your ideal weight, eating healthy, and staying physically fit can be a challenge. Especially with today’s busy lifestyle demands. It’s imperative to know if you are overweight or at risk of becoming obese. Both these conditions are linked to many health concerns and can negatively affect your quality of life. 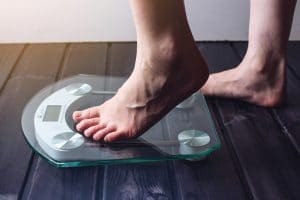 In a survey of 2004 adults reported by the Public Health Agency of Canada in 2012, 32% were overweight based on self-reports of weight and height, and 21% were obese. 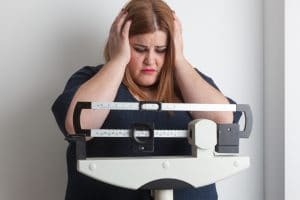 Nevertheless, 38% of the overweight people and 4% of the obese respondents reported that they feel they are in a “normal weight range”. Another study showed that adult obesity in Canada increased dramatically between 1985 and 2011, from 6.1% to 18.3%. 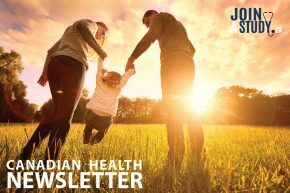 It was predicted that by 2019, half of the Canadian provinces will have more overweight or obese adults than normal-weight adults. Clearly this is a serious problem, not only in Canada, but throughout the developed world. Overweight and obesity both indicate a condition in which the amount of body fat is higher than is considered healthy. BMI, an abbreviation for Body Mass Index, provides an estimate of body fat. You can use this calculator to determine your BMI. There are some exceptions to these BMI classifications apply. Like athletes with high muscle mass, they may score a high BMI, when in fact, they are not overweight. But they are the exception rather than the rule. Therefore, you are more at risk for health problems if you are apple-shaped (fat around the waist) than if you are pear-shaped (fat around the hips). Check with your doctor if you think you are overweight or obese, or approaching either category. Discussion of weight management approaches and the newest fads is very popular in today’s culture. Making healthy daily choices is far more effective than crash diets or quick fixes. And living an active lifestyle will help you maintain your ideal weight. A diet that is rich in vitamins and minerals with the proper amounts of complex carbohydrates, protein and fat is essential to reaching achievable health goals. If you’re worried about your sugar intake, you can learn more about the difference between sugar vs sugar substitutes and make an informed decision for yourself. Using strategies like portion control and tracking your calories may also be helpful. Talk to your doctor about a customized weight loss plan, creating a healthy and achievable weight goal. It’s also helpful to look at underlying health conditions or medications that may contribute to your excess weight and address any concerns you may have with your doctor. 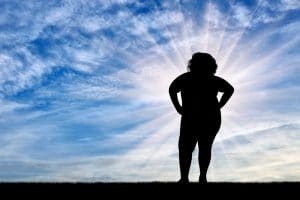 No matter where you are in the range of overweight to obese, it’s important to be kind to yourself in the process of making healthy lifestyle changes. Take time to congratulate yourself on every success leading towards better health. And don’t dwell on your mistakes if you aren’t perfect every step of the way. When you begin losing weight, you will see and feel positive changes. This is in addition to reducing your risk of multiple health concerns directly linked to obesity. Remember that most people can lose weight – the key is to maintain that weight loss over the long-term in order to reap the health benefits.